Ciara hit up late night television a few days ago to promote her “Body Party” project, stopping by both the Chelsea Lately show and Jimmy Kimmel LIVE while in NYC. Clearly the ladies have moved past the drama as Ciara hit the set of Chelsea Lately speaking of her love for her new boo Future. CiCi even showed off the ring tattoo she got in his honor a few months back (click HERE if you missed that). Ciara was all smiles as she was spotted stomping through LAX in her black combat boots yesterday afternoon (September 25, 2012). The sultry songstress has a bit of a reason to smirk now that she’s finally gotten the opportunity to respond to Chelsea Handler‘s accusations that she was involved in a bitter love triangle with rapper 50 cent. Chelsea has claimed that it was Ciara’s incessant phone calls that caused the demise of her relationship and that CiCi may have even been stalking the entrepreneurial rapper. Either she was misinformed or she was creating her own fun thing because she always seems like she’s very fun and wild – so I’m assuming she’d create her own story and break down of it all. We don’t fight over dudes. I gotta say while you’re speaking on it, I did find it very funny though, the things that she was saying. I thought it was interesting that she went there with it. 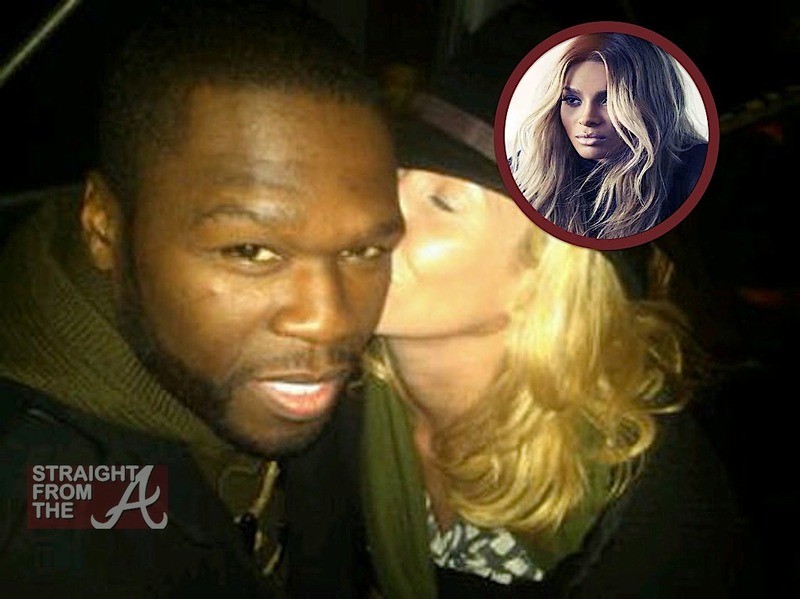 Remember when talk show host Chesea Handler exercised her right to bang rappers and hooked up with Curtis “50 Cent” Jackson? (Click HERE to refresh your memory). Well now Chelsea has reportedly decided to speak about on her past love affair with Fiddy and in a recent interview, reveals that she and the G-Unit CEO began hooking up right after he appeared on her show. This is how it started, he was on my show. He was cute, and you know I flirt with all the cute guys on my show. And I thought he was just adorable. Then, he started sending me flowers but ridiculous amounts of like 50 white roses, and it was like laughable. Handler goes on to reveal that they dated regularly when Jackson moved to LA but the romance turned sour when Ciara got jealous and started blowing up his phone! 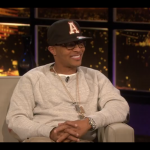 Clifford “T.I.” Harris (and that $30G smile of his) hit up Chelsea Handler‘s late night talk show, “Chelsea Lately” recently to discuss his new ventures, specifically his new book “Power & Beauty”. 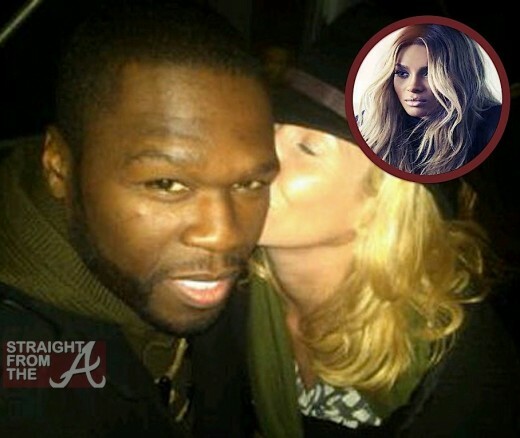 Tip managed to get at least one in on Chelsea though… by bringing up her relationship with 50 cent. 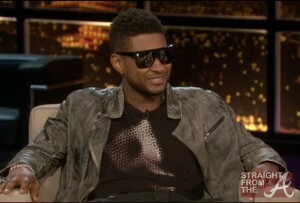 Usher Raymond hit up the Chelsea Lately show Monday night and he promptly but the moves on 50 cents former flame. 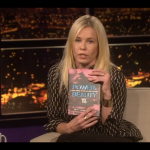 Chelsea Handler is known to flirt quite a bit with Black men who appear on her show, and Usher was no exception. In fact, the 32 year old crooner seemed to have his sights on a new cougar, as he unabashedly flirted with the late night host. Handler asked Ursh if rumors of him traveling with his own personal hot tub were true. Wherein, he responded that his hot tub makes for “a little after-party motivation”.